Smart Rendering with minimum video re-encoding which leads to fast export speed and maximum quality preservation. Nonstandard video content export which supports HDTV and other non standard DVD video content without video re-encoding or conversion. 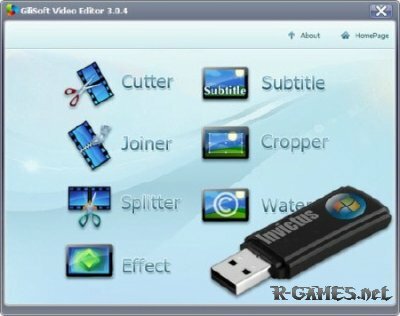 Advanced menu authoring with easy to use menu templates; addition of background music to menus; creation of user defined menu templates; selection of menu display for both widescreen and 4:3 formats; and DVD video previewing before writing to a disc. The new MPEG Video Wizard DVD has been released with DVD authoring and full AC-3 encoder support, and it includes all the features and functionality of its predecessor - the MPEG Video Wizard.